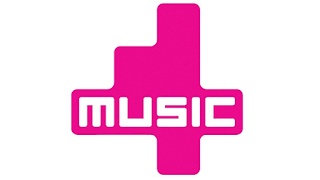 UPDATED | Music entertainment channel 4Music has been spotted testing free-to-air on satellite following technical changes observed today. The channel is one of the last major Freeview channels that still isn't distributed as a free-to-air channel on satellite and its conversion into a free-to-air service is long awaited. Its sister channels, including The Box, went free-to-air on satellite three and half years ago, but its believed broadcast rights restrictions have affected 4Music's ability to go free-to-air, with the channel also specialising in entertainment programming during the evenings. 4Music, part of the Box Plus Network, a joint venture between Channel 4 and Bauer Media, was spotted free-to-air on Astra 2F during Monday morning via transponder 31 (12305 H), offering free-to-air satellite viewers a chance to watch a few hours of programmes including an interview with Robbie Williams before disappearing again. For example, in December 2015, Yesterday, Really and Drama made their debut on Freesat, plus the addition of Netflix on Freesat's connected service. Other December launches have included the arrival of Channel 5's offshoot channels (2011), Sky's free-to-air channels (2012) and five BBC HD channels (2013). In addition to being available for free on Freeview, a free live stream of 4Music is available online (UK users).